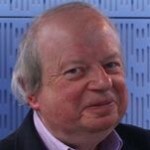 During the past three years he has been touring the country with his one-man show, ‘An Audience with John Sergeant.’ He is in great demand as an after-dinner speaker and as a presenter of awards. Until the end of 2003 he was Political Editor of ITN, having spent three years with ITV. Before that he was with the BBC for 30 years, starting as a general reporter and then specialising in political journalism. For 12 years he was the BBC’s Chief Political Correspondent. He has presented the World at One, Today and PM on Radio 4. John was educated at Millfield School in Somerset, where he was taught English by the playwright Robert Bolt, who also wrote scripts for many highly-regarded films, including Lawrence of Arabia and Doctor Zhivago. Later John went to Oxford and immediately after graduating joined Alan Bennett in his comedy series ‘On the Margin.’ It won the Comedy of the year award. In 1967 John became a trainee reporter at the Liverpool Daily Post and Echo. From here he joined the BBC as a Television and Radio news reporter and covered stories in more than 25 countries. John’s assignments included covering events in Vietnam, Rhodesia, Northern Ireland, the Turkish invasion of Cyprus and the Israeli invasion of Lebanon, He was also senior correspondent in Dublin, Paris and Washington. In 1990 John won a Press Guild Award for the most memorable outside broadcast: Margaret Thatcher interrupted his report outside the Paris Embassy to announce her participation in the second round of the Conservative Party leadership ballot. He also won the National Viewers and Listener’s award for the broadcasting personality of the year in 2000. His memoirs, Give Me Ten Seconds, were described by the Independent on Sunday as “an all-time rip-roaring read”. It was in the best-selling charts for six months and sold more than 300,000 copies. His latest book Maggie: Her Fatal Legacy was serialized in The Sunday Times and has been widely praised.